Tea prices, which hit record highs in 2009 due to droughts in India, Sri Lanka and Kenya, should stabilize in 2010 as weather has returned to normal in the main producing regions in Asia and Africa, the Food and Agriculture Organization (FAO) said. It is estimated that global tea production has been cut by as much as 20% this year. The UN food agency said its Tea Composite price, the indicative world price for black tea, hit a high of $3.18 a kg in September, driven by the droughts and higher demand, up from an average price of $2.38 per kg in 2008. At 34 percent annual increase, tea prices have significantly outpaced overall food price inflation, which has also been running in double digits in recent years in Pakistan. China, India, Sri Lanka, Kenya, Turkey, Indonesia, Vietnam, Japan, Argentina and Bangladesh are the top 10 tea producing countries in the world. Pakistan is not a tea producing country but it is the third largest importer of tea in the world, behind Russia and the UK. Because of its high tea consumption, and the fact that it has no production of its own, it is a market which is keenly pursued by main tea exporting nations. 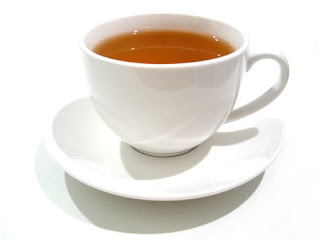 Tea affects the taste buds; therefore, it is difficult to replace a particular variety with a substitute. This explains why certain types are favored by certain countries : for example, the Russians and former Soviet republics favor Indian and Sri Lankan teas. UK and Pakistan prefer Kenyan teas. To cut spending on tea imports, trials have been conducted for growing tea in Pakistan, particularly Mansehra, Battagram, Swat and Azad Kashmir. These trials have shown good results in Northern Pakistan, but the necessary commercial investment needed to develop a viable industry has not yet materialized. With the rising tea consumption and growing import bill, it is important for Pakistan to give incentives for investments for tea cultivation. Such a policy can help create jobs in the northern regions where they are most needed, while at the same time providing economic opportunity to young people to take a step toward creating the much-needed peace and political stability for the entire nation. How Much Tea Does Pakistan Drink? Pakistan's dependence on Indian tea is gradually increasing. This year, Pakistan has imported 20 million kg of CTC teas from India, which is one of the highest in recent years. A drop in Kenyan production has also helped India to strengthen its position in the Pakistani market. A trade delegation from Pakistan Tea Association will be visiting India in April during which long-term business deals are expected to be clinched. With Iran stopping its purchases from India due to a payment problem, Indian tea producers are banking on Pakistan as one of the emerging export markets in the coming years. Pakistan is largely a market for the CTC variety and said to be the second largest importer after Russia. The country's total official tea import volume is around 120 million kg. But tea industry sources say that a high import duty results in additional tea making its way into the country through grey channels. Almost 65%-70% of its total official tea import comes from Kenya, while India accounts for 15%. But with Kenyan production down by almost 9% to 259.77 million kg, India has an edge this year. "Pakistan has been a good buyer so far from south India and is even buying from north India as well. The strengthening of the dollar against the rupee has also made Indian tea competitive in the Pakistani market," said Azam Monem, whole-time director, McLeod Russel India. "Kenyan prices are higher compared with India and its production has been down. This could be an advantage for us," Monem added. "Per capita consumption of tea has reached 1kg per annum and this is expected to go up further," said CS Bedi, chairman of Indian Tea Association. "We had been trying to develop business relationship with Pakistan over quite sometime now. Political tensions between the two countries have not marred our effort and over the years exports has been increasing to Pakistan," Bedi said. He added that a delegation is coming from Pakistan Tea Association to explore business opportunities with India. "We hope to enter into long-term business deals with Pakistani tea traders," said Monem. India is now offering Pakistan a wide array of tea blends at different price points. "Earlier, Pakistani tea trade used to complain about high prices of Indian tea. But now they understand that India offers quality teas which are at par with thee Kenyan tea or even sometimes even better," said Bedi. Kenya’s dependence on Pakistan for tea exports is gradually being eroded by the Asian country’s improved ties with India. Pakistan, which buys more than 17 per cent of Kenya’s black tea, last year imported a 21.8 million kilogrammes of tea worth $27.2 million (Sh2.3 billion) from India, compared to 8.3 million kilogrammes worth $15.5 million in 2010. “One would expect that with the improved trade relationship with Pakistan more and more tea will be bought from the neighbouring country,” said East African Tea Trade Association marketing manager Brian Ngwiri. As India’s share of the Pakistani market grew, Kenya’s slice dropped from 60 per cent in 2010 to 55 per cent in the last financial year, according to latest data from the Pakistan Tea Association (PTA). East African Tea Trade Association showed that Kenya exported 58 million kilogrammes worth $175 million (Sh14 billion) to Pakistan in 2010 compared to 70 million kilogram worth $204 million (Sh16.9 billion) in 2011. “Kenya’s share of total tea imports by Pakistan has reduced by five per cent,” PTA said in a press briefing last week. Total Pakistan tea import increased by a third in the last fiscal year to 127 million kilogrammes worth $301 million from 95 million kilogrammes worth $252 million imported in 2010. However, industry insiders said more Kenya tea could be finding its way to Pakistan through smuggling via Afghanistan. Tea Board of Kenya data indicates Afghanistan increased its imports from Kenya by the highest margin — 48 per cent to 49 million kilogrammes — among the 48 destinations supplied with Kenya tea last year. “The ratio between tea imports through legal and illegal channels is almost equal,” said PTA Chairman Mohsin Saifi adding that Pakistan loses between $50 million and $80 million annually in revenue due to tea smuggling through Afghanistan. The Pakistan government charges a 10 per cent import duty, a 15 per cent sales tax, a 10 per cent value added tax and another two per cent income tax on imported tea, laying the ground for a black market to flourish. Pakistan meets its green tea requirement from five countries including Indonesia, Vietnam, Bangladesh, China and Sri Lanka. Vietnam has a major share of 64.38 per cent in this group. Indonesia, Bangladesh and China shares in Pakistan’s green tea market are 2.33 per cent, 3.58 per cent, and 29.76 per cent respectively. Parliamentary Secretary for National Food and Research Natasha Daultana told the National Assembly on Monday that Pakistan imported black tea from 19 countries worth Rs25.03 billion. Replying to various questions during the Question Hour, she said that around 127,316 metric tonnes of black tea was imported during 2010-2011. The major share of 55.1 per cent was imported from Kenya followed by India at 17.13 per cent. Giving information regarding the government’s steps to increase cultivation of tea, she said successful plantation has been demonstrated, its yield potential and quality have been assessed to be economically viable and finally a production package has been evolved through the research efforts of scientists of National Tea Research Institute (NTRI) under Pakistan Agricultural Research Council (PARC). Replying to another question, she said the stock of fertiliser is sufficient to meet the domestic demand of the country. The Parliamentary Secretary said the estimated demand of urea for Rabi during 2012-13 is around 3 million tones, reflecting a gap of only 0.344million tonnes. She added that at present the opening stock of urea at the start of Rabi 2012-13 is expected to be 0.503 million tonnes. Daultana informed that due to 12 per cent gas curtailment for urea plants, the estimated domestic production of urea will be around 1.90 millon tonnes. The Parliamentary Secretary said the DAP availability in upcoming Rabi 2012-13 season seems to be satisfactory. is it soon possible that pakistan starts growing its own tea?? Pakistan Agriculture Research Council (PARC) Chairman Dr Iftikhar Ahmed has stressed the need for focusing on domestic green tea production to meet the requirements of the country. During his visit to National Tea Research Institute (NTRI) Shinkiari, the PARC chairman said that the country could be self-sufficient in green tea, imports of which have now risen to 33,000 metric tonnes. He said that NTRI should focus on green tea cultivation to make the country self-sufficient in green tea production. NTRI Chairman Dr M Azeem, Sardar Ghulam Mustafa, Dr Naseer Malik, Dr Abdul Hayee Qureshi, NTRI Director Dr Farrukh S Hamid and other senior scientists were also present during the visit of PARC chairman. On the occasion, Hamid briefed the chairman about the history of tea cultivation and present status of its expansion in the potential area of Khyber Pakhtunkhwa. He also gave a detailed briefing about the present import of tea in the country, like, 127,000 metric tonnes of black tea during the fiscal year 2011-12. The NTRI director said that Pakistan was the third largest importer of tea in the world. The PARC chairman was also informed that NTRI has produced 12 clones of high-yielding potential and has established the progeny garden. The tea germplasm available in Pakistan are of Chinese origin and best suited for the production of green tea, moreover, the market price and consumer acceptability demands that green tea production is more economical compared to the black tea. Green tea has been enjoyed by the people in China and Japan for thousands of years, not only for its taste but also for the health benefits associated with it. The secret of green tea lies in the fact that it is rich in catechin, polyphenols, particularly epigallocatechin gallate (EGCG), a powerful anti-oxidant. The positive health effects of green tea are that it prevents cancer, reduces high blood pressure, anti-diabetes effects, prevents liver disease, food poisoning, has antidepressant properties and weight loss factors. Turkey’s Ministry of Food, Agriculture and Livestock has sent a latest automatic tea-processing plant to Pakistan as a gift in recognition of the country’s tea-growing efforts. Talking to journalists on Friday, National Tea and High Value Crops Research Institute Director Dr Farrukh Siyar Hamid said the plant has arrived in Karachi and currently paperwork is being done for its release. The plant, which has a capacity to process 400 to 500kg of tea per day, would be made operational in April next year. The plant will be set up at the tea project site located in Shinkiari, near Mansehra. Spread over 50 acres, this is Pakistan’s first tea garden where black and green tea is produced. The existing plant at the institute was imported from China and has the capacity of producing one tonne of black tea per day and about 100kg green tea per day. Dr Hamid said that after a series of soil surveys carried out by the institute, 158,147 acres of land suitable for tea plantation has been identified in districts of Mansehra, Battagram and Swat. The productive and cultivable land is presently not being utilised, he said. The institute had also carried out soil surveys in Azad Jammu and Kashmir (AJK) where prospects emerged for the cultivation of tea. However, the forest department of AJK refused to allocate land for the project, he added. Tea crop cultivation has been experimented on farmers’ fields in different agro-ecological zones in the three districts, he said. The efforts to promote tea cultivation received a setback when the tea garden, spread over 186 acres, and a plant were completely destroyed in Swat during the military operation against terrorists. The tea research institute has completed testing of 14 exotic tea germplasm and identified 13 tea clones. In addition, the institute has developed clusters at Siran, Konsh and Kunhar valleys where sixty farmers were trained to grow tea. Responding to a question, Dr Hamid said the tea being produced in Pakistan is much liked by the Chinese and the products have the prospects to thrive along the China-Pakistan Economic Corridor. The tea institute’s data shows that Pakistan imported 93,500 tonnes of black tea during the first six months of 2017 at a cost of Rs22 billion. The import of 450 tonnes of green tea during Jan-June 2017 period cost Rs106 million to Pakistan. The data further shows that import of tea increased by over 325 per cent in 20 years.